Hows this for high stakes movie drama: NASA Mission specialist Mike Massimino, who was involved in the two previous missions making repairs and upgrades to the Hubble, a six foot three comedian who somehow conned NASA into putting him into orbit multiple times, squeezes inside the confined space of a delicate and incredibly expensive apparatus that was never intended to be modified once put into orbit. He has to access a circuit board behind 173 screws, which he must attempt to delicately handle in a space suit. If he bumps into something or a screw floats free it will put the whole telescope out of commission. To add extra danger to the mission, hes handling sharp electronics which could tear his gloves, exposing him to extreme outer space conditions, and kill him. One of the largest images ever taken by the Hubble, depicting a six-light-year-wide expanding remnant of a star's supernova explosion. 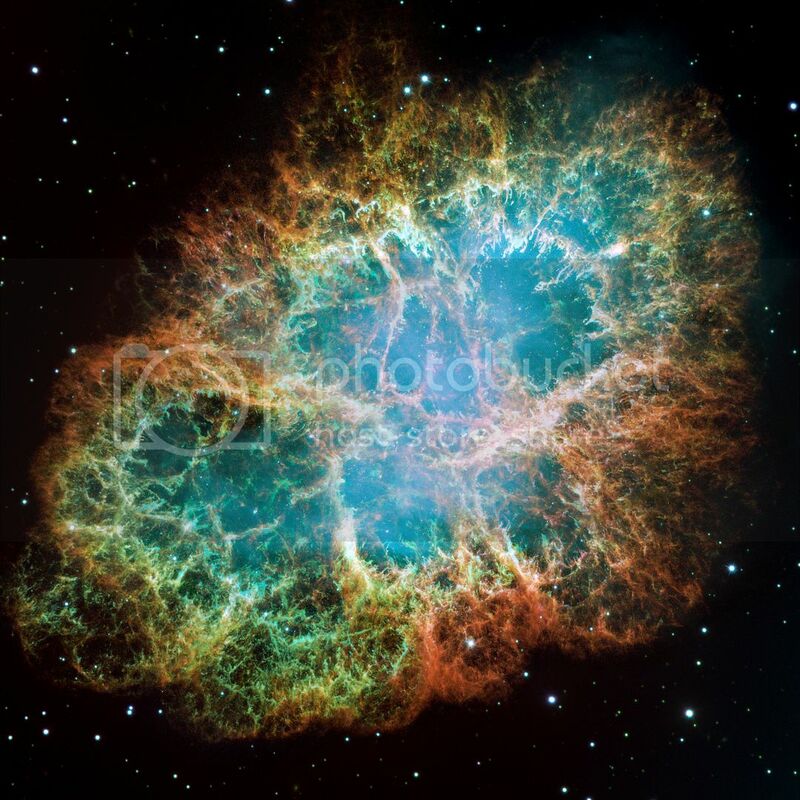 The blue colors in the picture epresents neutral oxygen, green is singly-ionized sulphur, and red indicates doubly-ionized oxygen. Image ©NASA, all rights reserved. 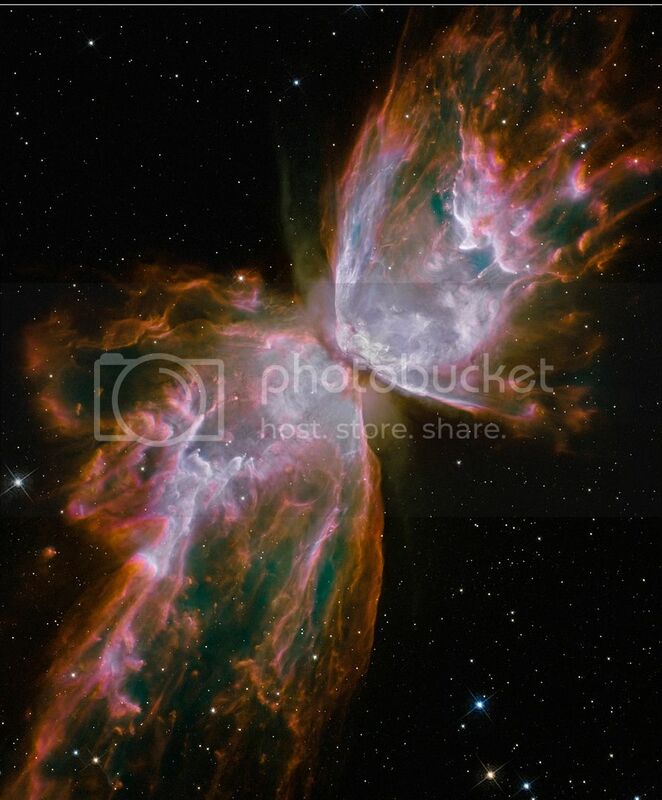 Planetary nebula NGC 6302 is captured with the new cameras on Hubble immediately following the latest servicing mission. Image ©NASA, all rights reserved. 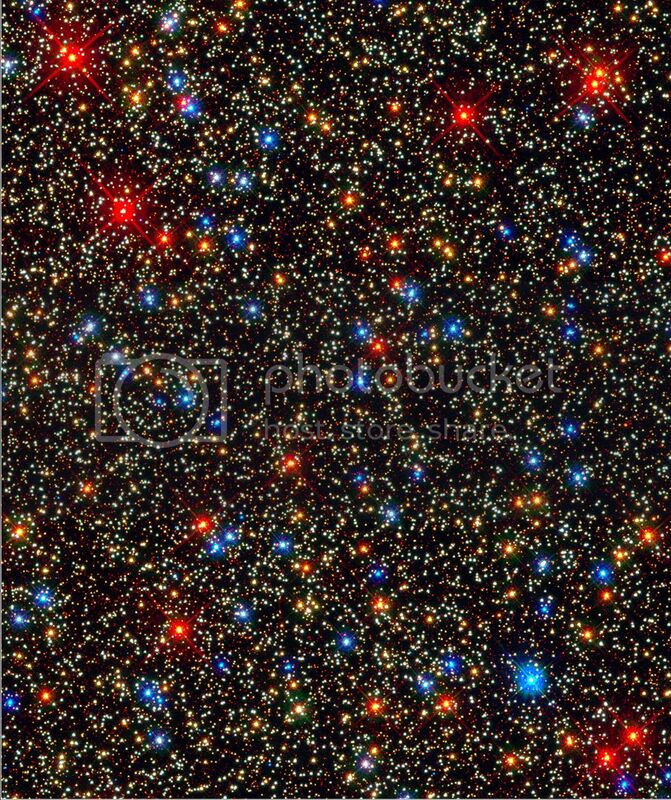 The globular star cluster Omega Centauri, widely discussed in the film, was unveiled by the Hubble consisting of previously known white dwarf stars, but also new hot stars (blue) and older, cooling stars (red). Image ©NASA, all rights reserved. Director Toni Myers is a titan in the IMAX world. Shes worked in the format since its invention in the 1960s, and if youve ever seen an IMAX title having anything to do with nature or science, chances are she directed it. For the incredible flythrough sequences, she worked in collaboration with the Space Telescope Science Institute in Baltimore to produce the footage, then compiled them into a narrative with the supercomputer at the Advanced Visualization Laboratory at the University of Illinois at Urbana-Champagne. But lets be crystal clear: none of the cosmos imagery is second-rate computer simulation; its all compiled from real data taken by the Hubble telescope. There were other unique challenges in the making of this film. Myers couldnt exactly send Director of Photography James Neihouse into space on the Atlantis, so they had to train the astronauts in the IMAX cameras use. The Atlantis only had room for eight minutes of film capture, so they couldnt afford to waste a single shot with bad focus or poor lighting conditions. If youve never witnessed a shuttle launch in person, Hubble 3D offers the next best thing with some truly visceral footage. Myers and Niehouse buried their 2 million dollar camera in a bunker of sand bags only 57 meters away from the launch site. The results are, as Massimino puts it, the closest most of us will get (and probably would ever want to get) to the actual feeling of a launch. Leonardo Dicaprios narration is breathy and at times a bit hammy, but its hard to imagine a narrator who could do justice to the unbelievable scale of these images. Seeing the stars like this is a sublimely humbling experience. When the final images of the universe faded and the lights came up, many people around me (including ScriptPhD Editor Jovana Grbi?) were crying. If it sounds like Im describing this movie as some sort of religious experience, well, you should just go see it for yourselves. Hubble 3D provides a captivating look at the fruits of one of mankinds greatest scientific achievements. 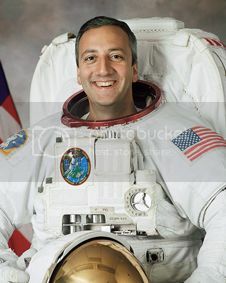 Mission Specialist Mike Massimino. Image courtesy of NASA. Mike Massimino is big for an astronaut, an attribute that made me nervous watching him crawl into the worlds most expensive telescope. But hes also quite funny. Someone asked if he had any concerns about the film and he quipped: Having to see my nose in 3-D. He was also ecstatic about the films release because it was a rare opportunity to get his teenage daughters excited about something, not that their dad was an important astronaut on an important mission, or even that hes in a movie, but that his name would be narrated by Leonardo DiCaprio. Toni Myers has trained over 120 astronauts and cosmonauts in the art of IMAX photography. She directed the award-winning Space Station 3D along with many other space and nature-related IMAX pictures. After sending one of the most expensive cameras ever made into space, she had to wait an ulcer-inducing four weeks before the footage was rendered to see what the astronauts had actually filmed. ScriptPhD.com joined a roundtable discussion with this pair to talk about the making of the film, the challenges of shooting in space, and the future of the American manned spaceflight program. You were talking about how the night cycle offers this incredible view of the stars, and I wondered why we didnt see more of that footage during the film? Mike Massimino: Youd better. I just set the thing on auto and pressed the red button. the equivalent of ASA 250 depending on how you rate it, it just wont capture those wonderful images crews always talk about like lightning storms or aurorae. Mike, how would you describe seeing the stars during a night pass? MM: You know, when you first get to space you immediately run to the window and see that view during the day, and I remember my first flight Id always be at the window during the day cycle and go Ah, its dark, Im gonna go downstairs until I decided to hang out at the window for a night pass, and I actually enjoyed the night passes as much or more as the day passes. MM: Its almost like youre spying on people. Youre flying over Europe or something, and you can see where people are living. You can see their light. You go over Africa and its pretty dark, maybe a few places with light. Japan is really cool because its all lit up and then you get those rings of light all around it, which I think are the fishing boats offshore. Then you come over the United States and its like a Christmas tree. The west coast is really lit up, youve got a lot of action up in the Chicago area, and up in the Eastern seaboard, man its just unbelievable. The signs of civilization over the US compared to the rest of the world are just incredible. You look down at Miami, and then theres like a black-out in Cuba. They didnt pay their electricity bill or something. I had a question about the take-off. I was blown away, literally. How close are the cameras for that and are they destroyed? TM: They are not sacrificial cameras, I wouldnt have a job if I was destroying a couple million dollar cameras. Theyre both in blast boxes, which are very protected and the one was actually on the pad looking up, 57 meters from the base of the shuttle. The box is literally drilled into the pad. Its a hardwire start that NASA activates, and you have to time it before the launch so you have a handle on the shot before you get a bunch of dust in your face. And there are ¾ in. ports that the lenses look through, and we covered the whole thing in sand bags the day before so it looks like some kind of creature there. And we had a second one on top of the rotating structure above the shuttle. We had not actually done that position before and we knew there was gonna be significant motion in waves around it, but both came out really well. MM: I was watching the movie for the first time with my wife in Washington, and I first thought my wifes seat was shaking because of the sound from the movie during the launch, and then we realized it was me that was shaking. It really allowed me to relive this whole experience and allows me to share this experience with other people who werent there. TM: I was shooting Space Station 3D and a rock went right through the ¾ in. glass on one of my cameras, and I thought, well, Im spending the rest of my life in Kazakhstan, I cant go home. But James [Niehaus] fortunately had put a neutral density filter in front of the lens in the camera and the rock hit the filter and just dropped, didnt damage the camera, and as a result we had this 3D shot of debris coming towards the camera and shattering the glass, and when people watched that at the IMAX, many of them actually take their 3D glasses off and looked to see if they had shattered. Its not looking very good for our manned spaceflight program right now in this country, do you think people will look at this film and think maybe were making a mistake? TM: Id love to just say I think its a mistake and I certainly said so in this film. If we intend to go anywhere we need these skills, and at least a human and robotic partnership just like the space station. I think people need to understand that if you go back to the moon or especially if you go to Mars youve got to build some kind of infrastructure there and the things that crews have learned in the process of building a space station on orbit and how to live there on a permanent basis are everything you need for our future off the planet. I think well look back and see this as just a minor little blip, if it is a blip. The Chinese will say theyre going to the moon tomorrow and everything will speed up. MM: I think the movie does show people what weve been able to do with the shuttle here, and Toni mentioned the space station which was built by shuttle crews. Im optimistic, I dont think youre gonna be able to kill the space program. Certainly throughout the world, we have a lot of partnerships with other countries , for example the Russians, who are our partners– were going to be using their space ships. The shuttle program is ending, by the end of the year most likely well be done, so you have to have something else. Going around the country with the support that we have from all the taxpayers who are paying for this thing and from politicians on both sides of the aisle, and from the president as well, I do not think that were going to accept not being a part of the international space community, and I mean sending people, not just the probes. I think in America we see ourselves as explorers and enjoy being right in the heat of it. Were not going to let other countries beat us, so I think were going to continue to send people into space and I think were going to want to have our own spaceships here to do that as a back up to the other countries. I think were going to have something, whether its going to be commercially developed, some kind of joint venture with NASA, will it take astronauts plus tourists, I dont know how all thats gonna be worked out, but I am convinced that were not gonna stop. Why do you think its so important to send people into space? No, in some ways its hard to justify, although Hubble 3D shows that we can do practical things, when Hubble breaks we can send people up there to fix it. When the bolt was stuck on the handle I was able to rip it off. Were able to adapt and do things that you wouldnt be able to do without a person on the spot. Were all people here on this earth, we want to experience things first hand. Unfortunately not everybody can go there, but I think as a species we like to send at least some representatives out there to explore and see whats going on so we can experience it as people. Theres no way that that argument can hold in any kind of budget discussion where its up against what the taxpayers can afford, but from just a human point of view I think thats whats going to keep us going in the end. We dont want to just send a probe and take pictures, we want to have people see what its like to actually see a new world and describe what its like. TM: To add one coda to that, I recently listened to former astronaut Mike Collins speak at the fortieth anniversary of the moon, which was a little more urgent, and what he said was that maybe were going to have to expand outward from this planet in the coming century because of a population explosion. There are very practical reasons. Think of how we look back at Galileo 500 years ago, I bet 500 years from now we will look back having established habitats elsewhere. By the way, you can follow Mike Massimino on Twitter. He sent the historic first tweet from space during the Hubble repair mission. 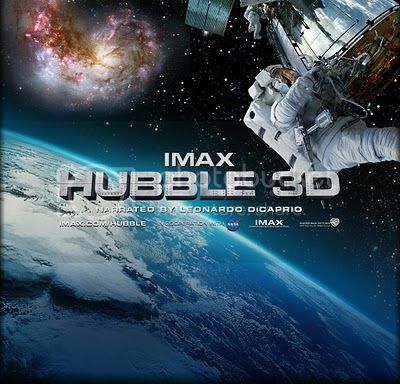 Hubble IMAX 3D goes into limited IMAX release on March 19, 2010 and is in theaters nationwide in August. Stephen Compson studied English and Physics at Pomona College. He writes fiction and screenplays and is currently working toward a Master of Fine Arts at UCLAs School of Theater, Film & Television. Just 3 left, planing to make a trip.